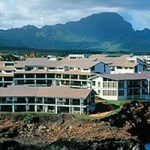 Please see some of our great Kauai honeymoon locations. We can offer these and others at great rates including packages that include air room and car. We use Pleasant Holidays for our travel package deals. Over 30 resorts, hotels, condo’s to choose from. We help with groups too! 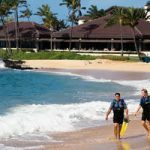 For immediate help call your travel to Hawaii specialist, Mark Steffan direct at 808-268-8339. Kauai Hyatt Resort and Spa. A Hawaiian classic beckons in this spectacular 50-acre ocean front resort in sunny Poipu. Offering 602 spacious guest rooms, the resort includes six restaurants and six lounges, a water playground with waterfalls and a 150-foot waterslide, a 5-acre saltwater lagoon, tennis, ANARA Spa and golf. Regency Club: Complimentary daily continental breakfast, afternoon cocktails and hors d’oeuvres, and upgraded room amenities. From the sweeping beauty of Hanalei Bay to legendary Bali Hai, Princeville Resort matches natural splendor with classic refinements. From 45 holes of golf on Hawaii’s #1 rated Prince Course and the Makai Course, to the numerous beach activities and intimate rooms and suites terracing the cliffs of Pu’u Po’a Point, Princeville is truly a magnificent escape. 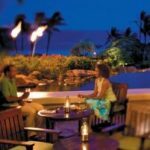 Sheraton Kauai Resort embraces sun-kissed Poipu Beach, where temperatures linger idly around 80 degrees. The resort spans 20 acres of pristine beachfront, where the sound of the waves will relax and rejuvenate the mind, body and spirit. Enjoy three distinct ocean front dining experiences-Japanese, Italian and American, with a dash of Pacific Rim flavor. 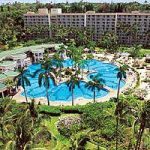 Majestic waterfalls, blue lagoons and lush tropical surroundings distinguish this deluxe Hawaiian resort. Just relax by the 26,000-sq. ft. pool or enjoy any of the many activities available, including a variety of shops, restaurants, spa services and complimentary Hawaiian activities. ResortQuest Islander on the Beach. Experience the natural beauty of Kauai at ResortQuest Islander on the Beach, located on the east coast of Kauai. This resort is set on six acres of ocean front property with lushly landscaped gardens and is adjacent to the many shops and restaurants at the Coconut Marketplace. All of the newly refurbished guest rooms are fully-furnished with tropical furnishings and island-style artwork. Enjoy golf and beach activities, or relax by the ocean side pool and jet spa. 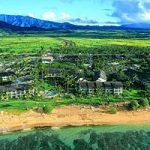 Castle Makahuena at Poipu is on the southernmost point of the island of Kauai and offers the rare opportunity for viewing both sunrise and sunset from its ocean front location. This ocean front all-suite condominium consists of beautifully furnished one, two and three-bedroom suites with swimming pool, sun deck, jet spa, tennis court and barbecue facilities. Call Mark Steffan at 1-800-871-2758 for more details.